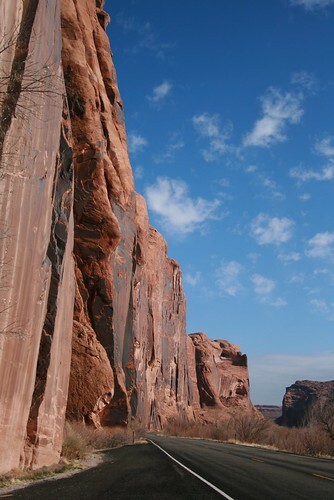 Wall Street, a great climbing wall along Potash Road in Moab. 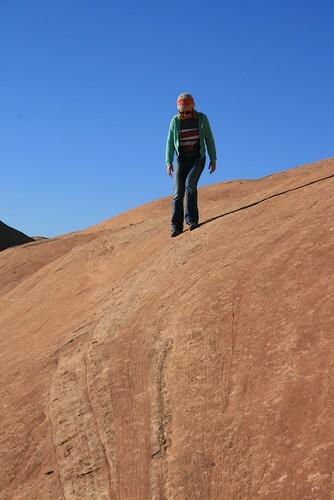 Jenn trying not to slip off the sandstone mound! 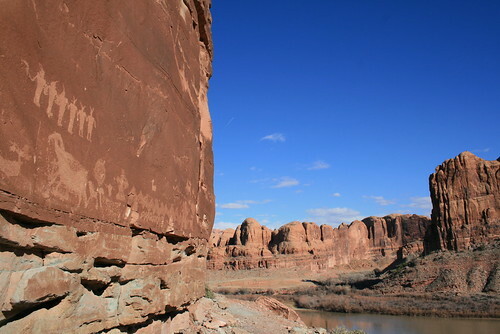 Ancient Petroglyphs carved by Native Americans in Moab. Many depict animals and tribal leaders. 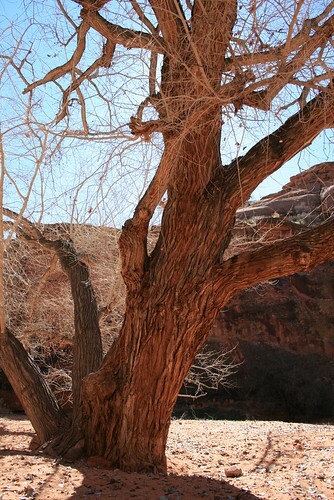 A hardy tree growing in a dry canyon near Moab. Mountains veiled by the clouds. 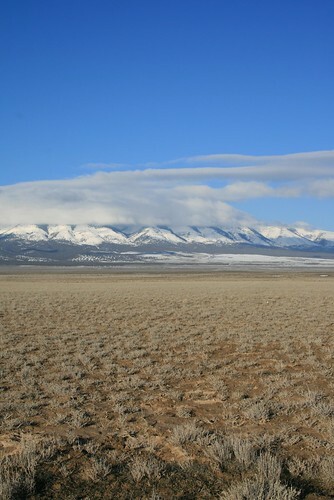 High-desert scrub. This is near Salt Lake City and Provo. 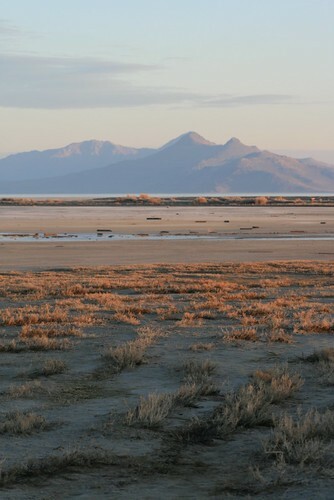 Antelope Island in the Great Salt Lake.